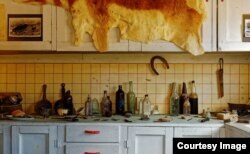 Clues to America's past can be found in its ghost towns, once bustling communities that have been abandoned. Most of the Texas towns were established during the frontier era, from the early to mid-1800s. Mining towns sprang up around rich mineral deposits while the Mexican government's favorable terms — a promised 4,000 acres per family for a small fee — attracted settlers. "In the end, some Texas towns were destroyed by natural disasters and droughts, while others failed once the railroad and highway system reshaped transportation routes," Geotab's Kelly Hall told us via email. "Once the need declined or resources were scarce, it caused the population or entire town to vanish," said Hall. "Others were economically overpowered by neighboring towns, the Great Depression or frontier settlements that simply died down." Natural disasters could also wipe out a town. 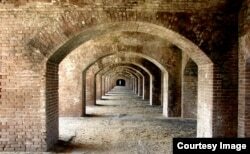 That's what happened to Fort Jefferson in Monroe County, Florida. "With limited access to technology and without today’s emergency management advancements, a hurricane, a tornado or an earthquake could mean the total devastation of an entire community," Hall said.